Event Description: The Festival of Speed is the largest motoring garden party in the world - a unique summer weekend that brings together an impossibly heady mix of cars, stars and motorsport Royalty to create the largest car cultural event in the world. Event Description: Kent County Show is the region's showcase event for farming, countryside and rural life. The three day show brings together the very best of Kent with animals, food, fun and excitement giving a true feel of what �The Garden of England� has to offer. Experience the Flower Show, Food Tent, Canine area, show jumping, vintage vehicles and hundreds of cattle, sheep and goats. Meet Titan the Robot, watch the Metropolitan Police Horses, listen to live music and see the Kent Spitfire flying overhead. Event Description: Reg Phillips meeting on the Saturday and Vintage and historic cars on the Sunday. .These cars evoke enthusiasm and spark a passion; since 1934 the Vintage Sports-Car Club has provided an arena for people to enjoy Pre-war cars competitively and socially. Event Description: Evesham Vale Light Railway Summer Gala & Historic Transport Weekend. We are holding our Annual Summer Railway Gala alongside our Historic Transport Show. A celebration of anything with wheels - cars, bikes, traction engines, tractors and much more. All welcome. The railway will be running an intensive 20 minute service using all available locomotives from the home fleet. Visiting locomotives currently being arranged to attend. Event Description: Vehicle show with lots of trophies to be won. Classic, American, Hot Rods, Motorbikes, Scooters, Tractors, Steam Traction Engines, Military and other vehicles of interest let us know what you have. This is part of a big village carnival which we normally get about 5000 people attend. As well at the vehicle display we have a parade around the village ,stalls trading, live music on stage, events in an arena and bakers fun fair. The event opens to the general public from 12 till 5pm but if you are showing your vehicle we need you to arrive before 10.30am to ensure we have no vehicle movement before the gates open to the general public. The places are limited to 200 vehicles so booking is needed to avoid disappointment. Event Description: The UK's Biggest and Best Classic American Car event, Wall of Death, Wild West 'shoot out', loads of trade stands and side shows with live bands playing throughout the day. Food, Refreshments and Beer Marquee. Event Description: The Great Yorkshire Traction Engine Club, Duncombe Park Steam Rallywill be commemorating 100 years since the end of the great war and will once again be held in the magnificent suroundings of Duncombe Park, Helmsley. The event attracts 40+ full size steamers, 40+ miniatures, more than 60 Commercials, 120+ Tractors & stationary engines & 170 Vintage Cars & motorcycles. Several organs, models, working area, crafts, trade stands, refreshments, licensed bar with evening entertainment, Can-Can dancers & fair ground are also amongst the attractions. ?We also have ample Caravan & camping spaces available. Times:10:00am onwards. Free car parking. Event Description: A thrilling day of pure club hill climbing with a fine display of Bugattis and other racing marques being tested on the famous Prescott Hill. An idyllic atmosphere harking back to the halcyon days of racing. Event Description: *** Unfortunately due to unforeseen circumstances we have had to cancel this years show. Kind regards Damien*** Denholme Classic Car Show goes from strength to strength. This friendly car show is open to all kinds of classic vehicles. Held on the first Saturday in July, in conjunction with the local Gala there is plenty to keep everyone entertained. Event Description: Over 500 classics attended last year and we are now accepting registrations for this year - 2019. Loads to do for all the family, children's entertainment, hospitality serving hot and cold food, stalls galore, centre arena with Birds of Prey display and Surrey Pumas Rock Band. Silver cup presented by our judge to his favourite classic of the day. All profits go to Macmillan Cancer Support to help people and their families affected by cancer. Please support us. Number of Cars Attending: Last year over 500 vehicles attended. 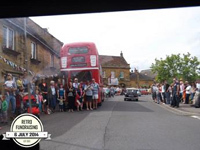 Event Description: The Baston Car & Bike Show has gained an excellent reputation as the best show in the area and in 2019 we're planning on making it even better - more information will follow soon! It's the show that mixes the old and the new with veteran, vintage, classics and modified mingling with just about every modern manufacturer the area has to offer. 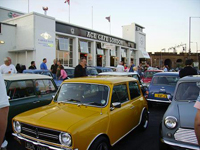 The theme for 2019 is a celebration of the Mini and its 60th anniversary. We are aiming to have at least one model from every year, so if you would like to join in please get in touch.. 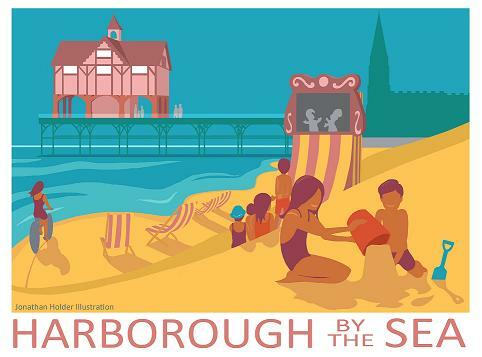 Event Description: Market Harborough's Classic Car Show takes place throughout the town's historic town centre. Over 200 vehicles lined the streets in 2018 with over 26,000 visitors. Entrants to the show will again receive a badge featuring this year's unique artwork. Numerous prizes and awards will be up for grabs on the day. It is free to enter. There will be live music on the day and food stalls together with activities for children in the Memorial Gardens - Punch and Judy and face-painting. BMC and Leyland - at Gaydon! Event Description: Celebrate a host of British vehicles, manufactured by the British Motor Corporation, at Gaydon.Details on museum web site. Event Description: Retro vehicles raising money for disabled children in Somerset. Road closure cavalcade Martock back for the 6th year. Retro show at Somerton Sports Ground after a scenic tour. Pre 1999 vehicles. 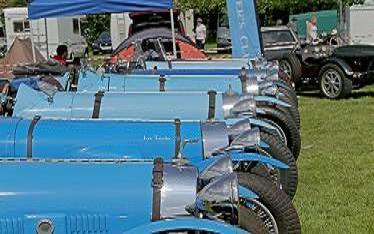 Martock road closure cavalcade 10 Am, scenic tour then display at the fabulous Retro Showground Somerton Sports Ground. Bar, live music, superb carvery, food, shops n stalls, kids rides, raffle etc etc All money goes to Martock Charity Shop to help disabled children (�32.5K to date).